Drink lots of water and stay inside when you can: the heat wave continues today with temperatures expected to reach the mid-90s. Philly public schools will close early again today, too. 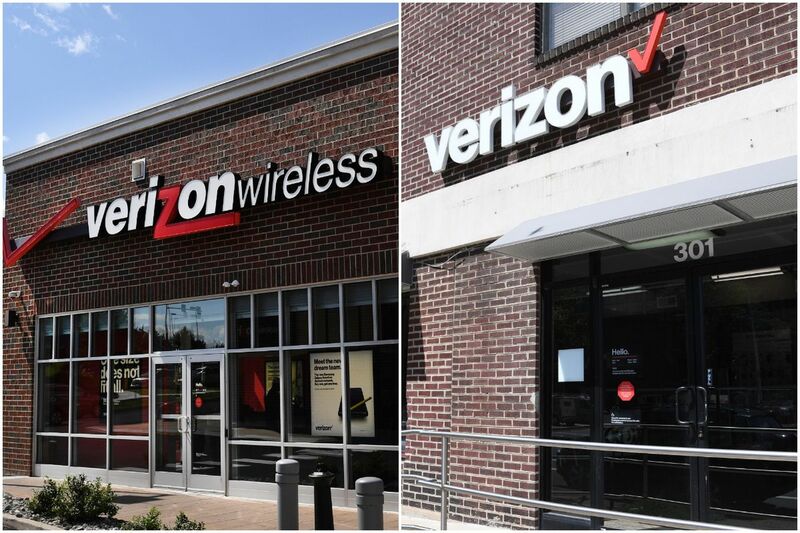 Our top story this morning is on an odd trend you may have encountered around town: third-party retailers that look like Verizon-owned stores. They walk, talk, and act like Verizon stores…until they don't, and that's often at the register. We're also following big news this morning after Pennsylvania's attorney general made shocking comments about the Vatican. What if the Verizon store where you purchased your very expensive phone wasn’t actually a Verizon store, exactly? Nearly 400 stores nationwide are Wireless Zones, a third-party authorized retailer that uses Verizon's branding and products but can set its own prices and policies. The Verizon-owned and third-party stories often look alike, but there can be major (and expensive) differences for customers. Pennsylvania Attorney General Josh Shapiro appeared on two national news shows Tuesday to drop a bit of a bombshell: his office has knowledge that Vatican officials knew of efforts to cover up sexual abuse by priests in the state. His remarks referred to particular references to the Vatican in parts of the grand jury report on clergy sexual abuse released earlier this month. The statements come days after a former Vatican envoy alleged that Pope Francis had known of an American cardinal's sexual misconduct long before he was forced to step down. Philadelphia Energy Solutions, which operates the giant South Philadelphia refinery complex and is often criticized for its air pollution, is trying to get green…er. PES is teaming up with another acronym, RNG Energy Solutions, to convert food waste (the fattier and gassier, the better) into transportation fuel. To do so, it's building a $120 million digester that can convert more than 1,100 tons of food waste into methane gas a day. The founder of the Texas group banned by a federal judge from posting free files for 3D-printed guns online is now selling them online instead. A doughnut-themed video is causing quite a stir in York, Pennsylvania. The police department there recently filmed a lip-sync challenge featuring a controversial donut shop and now it's dividing the city. Former Pennsylvania Treasurer Rob McCord was sentenced to 30 months in federal prison Tuesday for attempting to strong-arm campaign donors during his failed 2014 gubernatorial campaign. A Philly homicide detective is under internal review for allegedly writing a racially charged letter to a colleague. The note was apparently about leftover food. Six years after it was cut, Pennsylvania's General Assistance program, which gives the state's most vulnerable a small monthly grant, is being reinstated. The problem is no one knows about it. Carmela Apolonio Hernandez and her four children have been living in sanctuary at the Church of the Advocate in North Philly for nearly ten months. For the first day of school, the children risked challenging ICE by attending classes. A Fairhill woman has been calling her son and others out on Facebook for selling drugs. She's received threats for it, but she's still fighting back. Now that's a sunset, @falseclimax. As the countdown to the NFL season opener continues, injured Eagles are making plans for the start of the season and a quarterback decision is imminent. Industry is waning in Kensington as the neighborhood becomes more residential. For one cabinetmaker, that meant selling his warehouse to be turned into condos. Women's health can be taboo in some cultures, leaving young women without critical health information. So Philly activists are changing the game and starting (sometimes awkward!) conversations. You think you have too many clothes? The Walnut Street Theatre's production of Irving Berlin's Holiday Inn will feature a whopping 251 holiday-themed costumes. It's never too late to follow a new dream. Believe the word of one Philly cop who served three decades in law enforcement before becoming a yoga teacher. The face of obstetrics and gynecology is shifting rapidly from male- to female-dominated. Turns out it's what young women want. "Count your blessings, and maybe go say hello to your new little friends. If nothing else, they're better than us adults." — South Philly writer Monica Weymouth on the Rittenhouse residents worried about the sound of children if a daycare opens up nearby. Hindsight is no reason to attack judicial independence by reviewing the judge who let the father of Kayden Mancuso have unsupervised visits with the girl before he killed her, writes Temple law professor Jules Epstein. A 29-second clip from a 2008 town meeting helped solidify the myth of John McCain and defined the coming American crisis, writes columnist Will Bunch. Like every other state, New Jersey provides some compensation to crime victims or their survivors. But as a concerning NJ.com investigation reveals, it's frequently failing its own charitable mission. The reason Delaware is starting to sell inmates playing cards featuring the victims of cold cases makes for an odd story, via WHYY. The use of GPS ankles monitors in the American criminal justice system rose 140 percent between 2005 and 2015. For offenders, they're just a new form of imprisonment, the Guardian reports. An NPR investigation into confusing U.S. Education Department data on school shootings paints a worryingly unclear picture of how many guns go off in American schools. The revolution will be train-ified? A short-term pilot project to extend Regional Rail to Phoenixville could change infrastructure as we know it, reports PlanPhilly. There’s no better time to learn how to make frozen desserts from around the globe in your own home. Heat wave, schmeat wave.